SAR is a provider of total waste management services (Waste Chain Management WCM®) for the oil and gas industry. SAR’s focus is to treat and handle hazardous and drilling waste, and our proactive professional consultation policy enables us to achieve a high level of recycling for our customers. SAR provides the market’s most environmentally friendly solutions, and has a particular emphasis on recycling and reuse. Base oil is completely recovered with a high-quality (un-cracked) and is able to be used again in new oil-based mud (OBM), or as fuel in boilers or diesel engines. SAR provides both cost-effective and environmentally friendly solutions for the complete OBM slop treatment process. Our ability to recycle and extract the oil from processed waste materials using both our own technology and patented TCC (thermomechanical cuttings cleaner) methods is an essential aspect of our waste to values-approach. SAR offers a wide range of industrial cleaning services, from tank cleaning to inspection and component replacement services. SAR provides the onshore and offshore industry with professional and environmentally friendly automatic tank cleaning services. We are a trusted partner for clients both on the NCS and abroad thanks to our advanced machinery, highly trained professionals and short lead times. 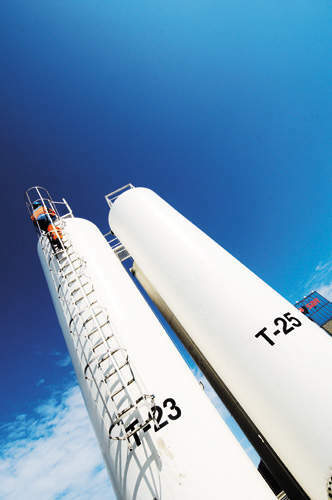 SAR has a proven technology to treat wastewater generated from the oil and gas industry, ships and refineries. The majority of wastewater is offshore generated sand and includes oil-contaminated water, ballast water, engine-room slop and heavy metal-contaminated wastewater. 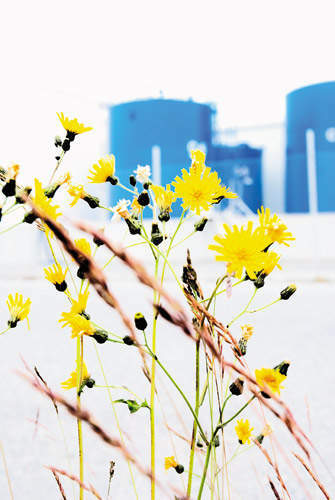 SAR’s water treatment methods differ according to the origin and content of contaminants. We have one of the largest environmental consultancy divisions in the industry, and offer competent and experience-based advice on both environmental and economical aspects of waste handling and clean-up projects. The consultancy division is a significant first step in our WCM total solution. 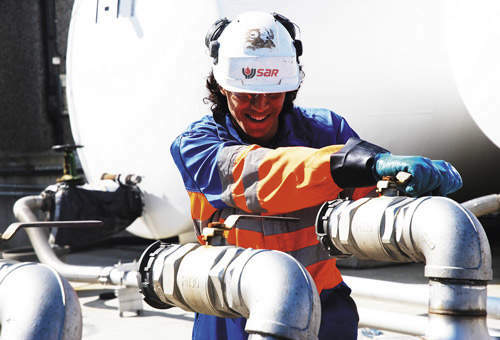 SAR`s main customers include Statoil, ASCO, Halliburton, Exxon Mobil, Total E&P, Baker Hughes, IKM Group, BP Norge (ASCO), ENI Norge, GMC Group, Talisman Energy Norge, Marathon Petroleum and Kuwait Oil Company. Since 1987, the SAR Group has grown to become a top-tier, global waste management partner and service provider. Our extensive presence enables us to process large volumes of waste with short lead times, and our flexibility allows us to offer ad-hoc solutions for our clients. We are strategically located along the Norwegian coast from Stavanger in the south to Hammerfest in the north, in India and Kuwait. Our customers are mainly oil and gas related. The experience we have gathered from Norwegian operations has provided us with a solid foundation for continued expansion, development and investment in our international operations. SAR places great importance on health, safety, the environment and quality at all levels within our organisation, and ensures that the work is carried out according to BAT (Best Available Technology) and BEP (Best Environmental Practice). SAR is certified in accordance to NS-EN ISO 14001, NS-EN ISO 9001 and qualified within the Achilles Joint Qualification System. SAR has all the necessary licences related to relevant waste handling activities in place. SAR AS is pleased to announce that it has been awarded the Gold Award for its continued commitment to supporting environmental safety in Kuwait. SAR offers full-range waste handling solutions for the recycling and reuse of valuable resources. 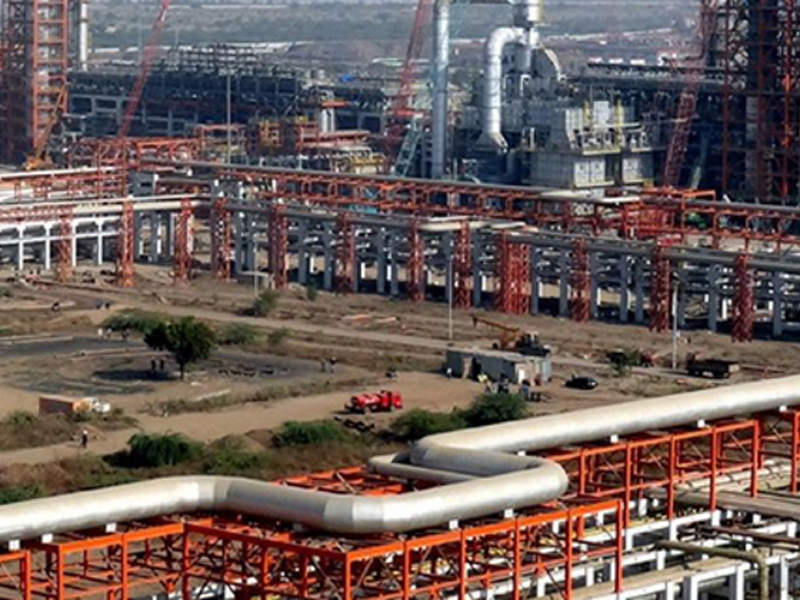 Barmer refinery and petrochemical complex is a new facility that is currently being developed in the Barmer district of Rajasthan, India. SAR will be an active participant at ADIPEC 2016, with a stand demonstrating the different ways our company continues to support the international petroleum industry by providing tailored environmental services. SAR will participate the event taking place between 29 August to 1 September 2016. Statoil has exercised an option to extend an existing contract with SAR to treat drilling waste for oil fields serviced by Florø, Hammerfest and Sandnessjøen. SAR has won a new waste handling contract by ASCO Norge AS. SAR has been awarded an ASSE GCC HSE Excellence Award for the plant for treatment of OBM drill cuttings in Kuwait. 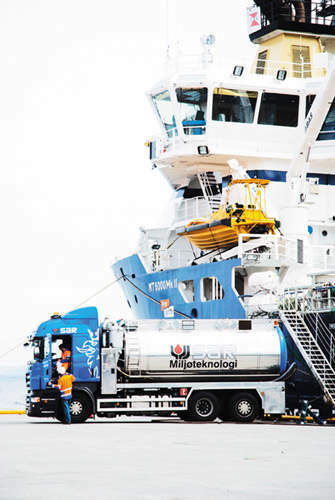 SAR has been awarded a new contract by Total E&P Norway AS to provide waste management services. Welcome to SAR's one day course in hazardous waste management. A three-year frame agreement has been signed by SAR with Simon Møkster Shipping AS. SAR AS will deliver hazardous and industrial waste handling services from all Statoil office locations, offshore installations and onshore facilities within Norway, under an awarded agreement. Environmentally friendly waste handling service provider SAR has secured a three-year framework contract for receiving, deposition, transportation and treatment of drilling waste for Statoil. SAR AS has been acquired for an undisclosed sum by Stirling Capital Partners from AR Incoronato AS and Westco AS.